Facebook has just launched a new version of its messenger chat app targeted mainly at children between the ages of 6 to 12 years. The app which is called Messenger Kids is loaded with only kid-friendly GIFs, camera effects, filters, stickers, and frames. The good thing is that the app doesn't require any facebook account before you can use it since federal law mandates that users under the age of 13 cannot legally sign up for Facebook. 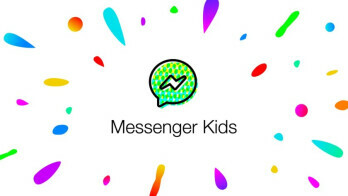 Parents will have full control over their children's Messenger Kids app directly from their own Facebook account. At the moment, the app is only available in the USA and only on the iOS platform, but there are plans to expand the availability of the app to the Amazon App Store and Google PlayStore in the coming months.